I am so excited to have added Dream Catchers Hair Extensions to my list of services. Dream Catchers Hair Extensions are permanent and reusable hair extensions that I can add to your natural hair using their micro cylinder technology. That means that there is no wax, glue, sewing or heat used in the process. With proper care and maintenance, they can be used over and over and can last from several months to a couple of years. 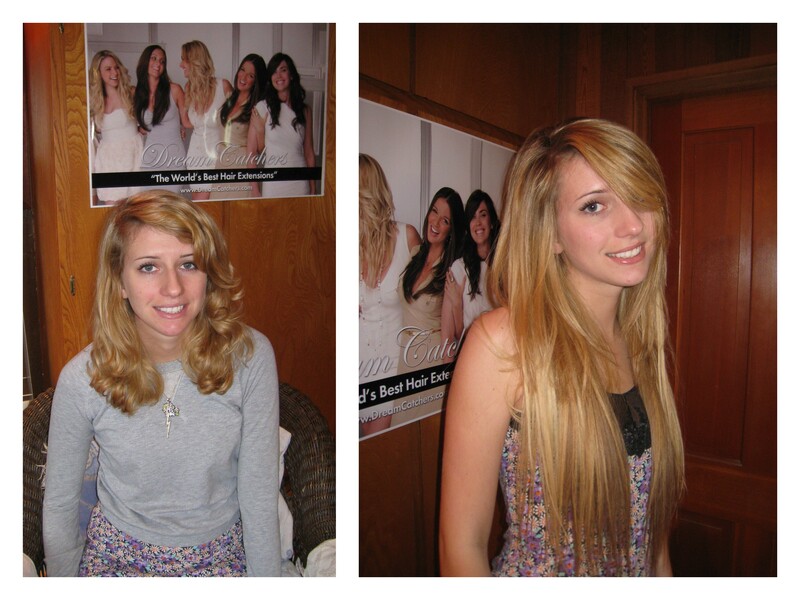 Here are a couple of before and after photos of my client Lily. Lily will come in to see me for maintenance about every 4 – 6 weeks. This will ensure that her Dream Catchers stay in optimum condition. Therefore, allowing Lily to get the most use out of her permanent and reusable Dream Catchers Hair Extensions. If you have always dreamed of having long, luxurious hair. What are you waiting for? Call Laura at 310-200-7242 to make an appointment for your complimentary Dream Catchers Hair Extension consultation and be on your way to the hair of your dreams.